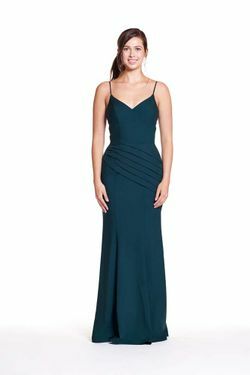 Bary Jay bridesmaid dress style 1811 - Sequin Net - V-neck bodice with sheer panels & spaghetti straps. Keyhole back. A- line skirt.